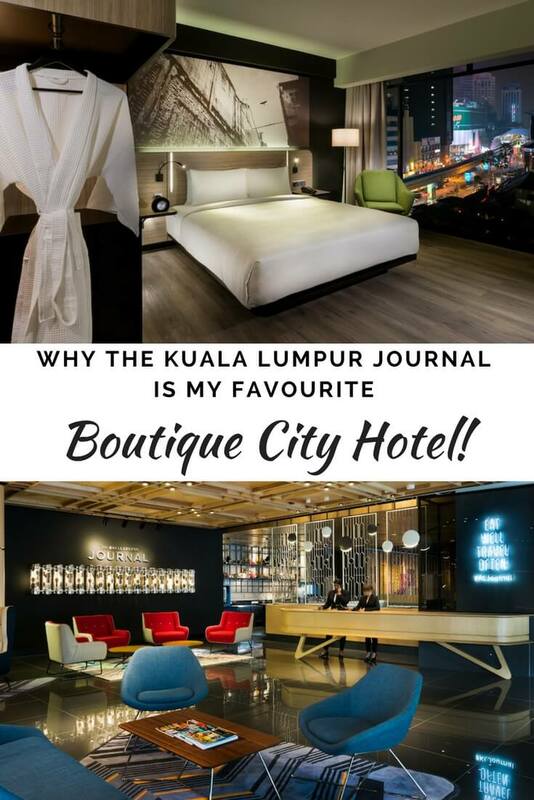 As a writer by trade, when I began looking for a boutique hotel for our stay in KL, the Kuala Lumpur Journal piqued my interest straight away just for it’s name! 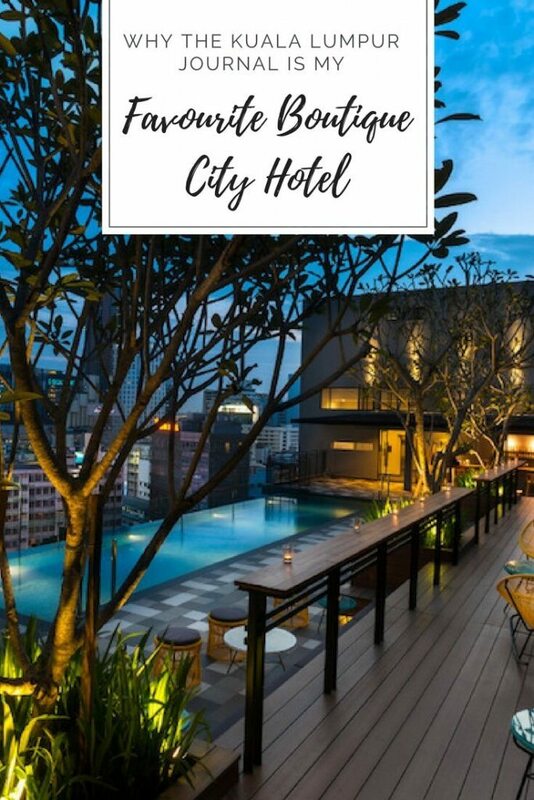 We looked into several other options as well, but I’m so glad we chose it in the end, as what we found was a perfect city hotel, hidden away on a quiet side street in the heart of the Kuala Lumpur. 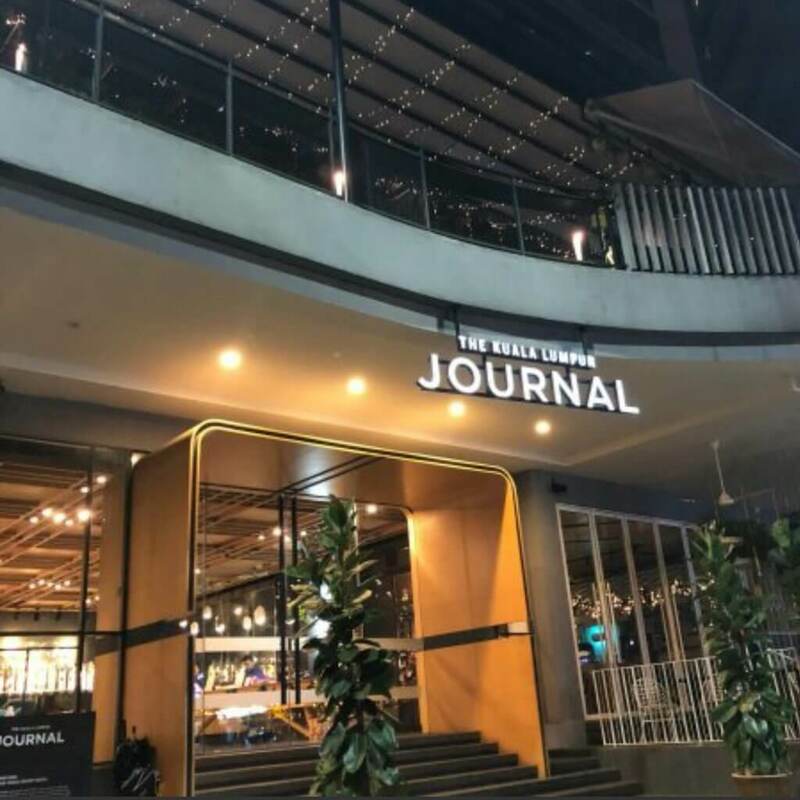 The Kuala Lumpur Journal is just off one of the city’s main thoroughfares – Jalan Sultan Ismail – yet it offers a surprisingly quiet and serene retreat from the hustle and bustle. 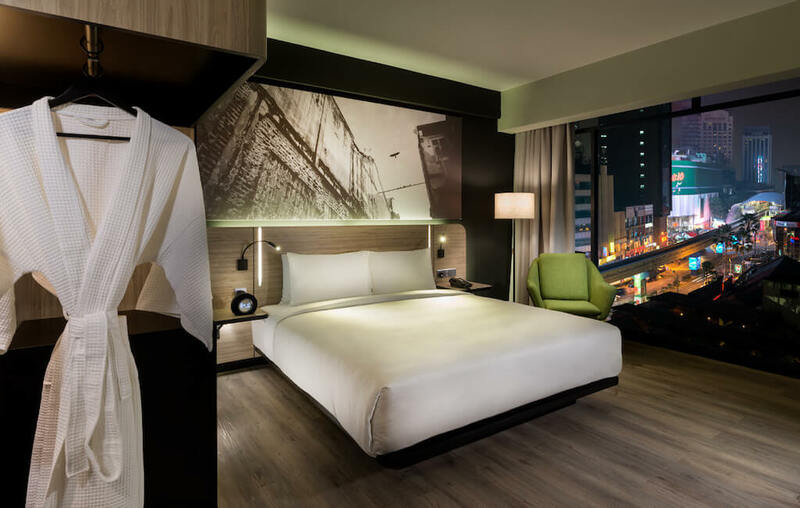 It’s so well placed for travellers: you’re in the city’s entertainment and shopping area Bukit Bintang, plus it’s also only a five-minute walk from the street food hub of Jalan Alor. 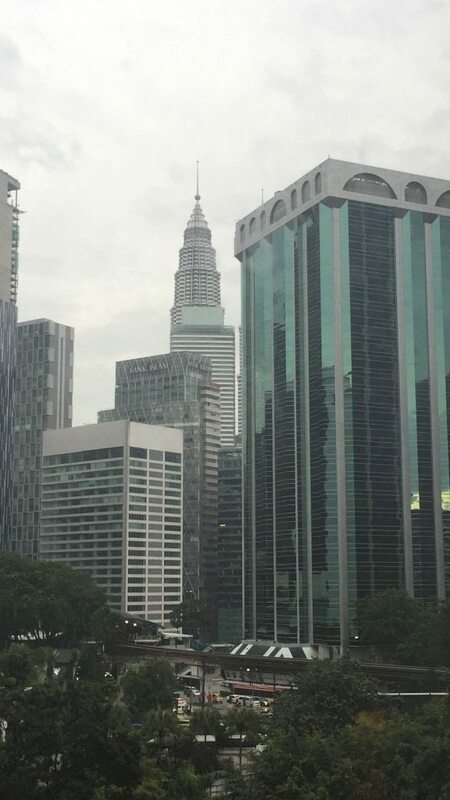 It’s good for getting about the city as you’re very close to the metro too, but the icing on the cake has to be that just two minutes from the hotel you’ll find a bus stop where all three of the KL free bus routes stop, allowing you to get to most of the city’s main attractions for free! 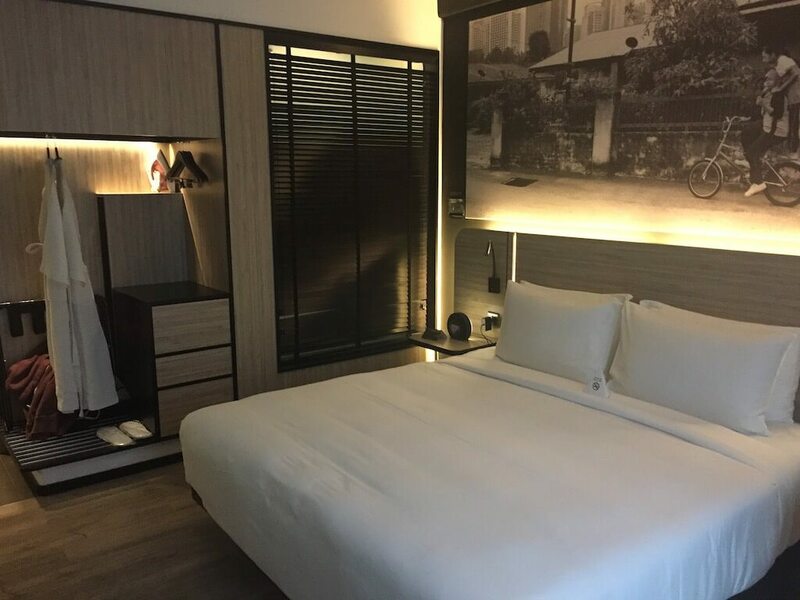 As the Kuala Lumpur Journal only opened in 2015, this boutique hotel is light, airy and very hip and modern. A concierge will always greet you at the door as you walk into the large, open reception area complete with funky lighting and furniture, and I loved that the staff uniform is a casual denim shirt. Personally I think this is one of the best city hotel rooms I’ve stayed in to date. I adored the modern décor, with the large black and white print over the bed. The size of our deluxe king room (the basic level room) was also pretty darn spacious. I found the room very reminiscent in style to Birmingham’s Malmaison hotel, but much, much brighter. 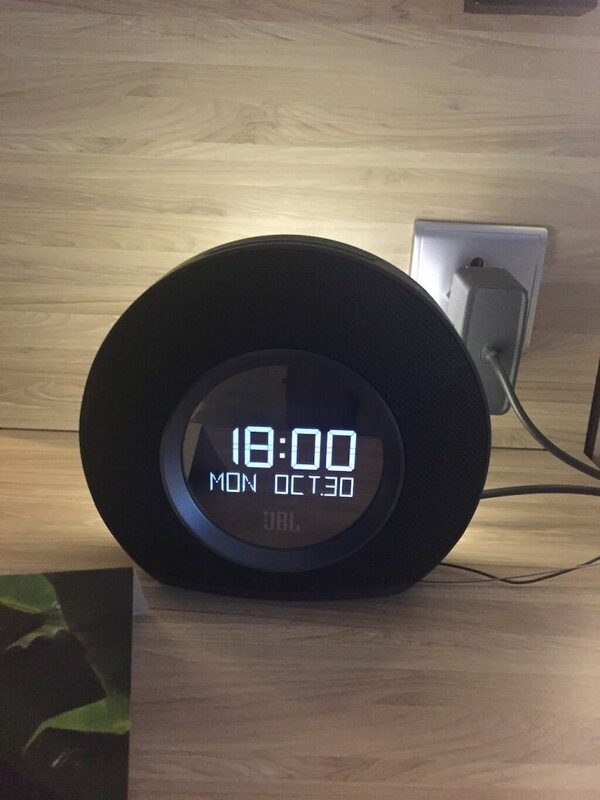 I became obsessed with the stylish alarm clock (sadly I decided not to order one online when I found out the price!) and was impressed at how quiet it was at night even though the streets around us were always busy. The bed was comfy and the blackout curtains were also very helpful for stopping us waking up early! I was also impressed with the Wi-Fi service. I’ve found that hotel Wi-Fi can be hit or miss wherever you are in the world and whatever chain you’re staying with, but here we had a constant, decent signal in our room, which meant I could get my morning social media fix over a cuppa in bed. Bonus points went to the fact I also had a view of (one of) the Petronas Towers from my bed, which was a great thing to wake up to in the mornings and go to bed to every night. Plus the bathroom didn’t disappoint. As with most city hotels there was no bath, but that didn’t upset me as there was a wonderfully powerful shower that also offered a giant rain shower experience. With a lovely flat screen TV, cosy dressing gown and regularly refilled bottles of cold water, what more could you want from a city hotel? 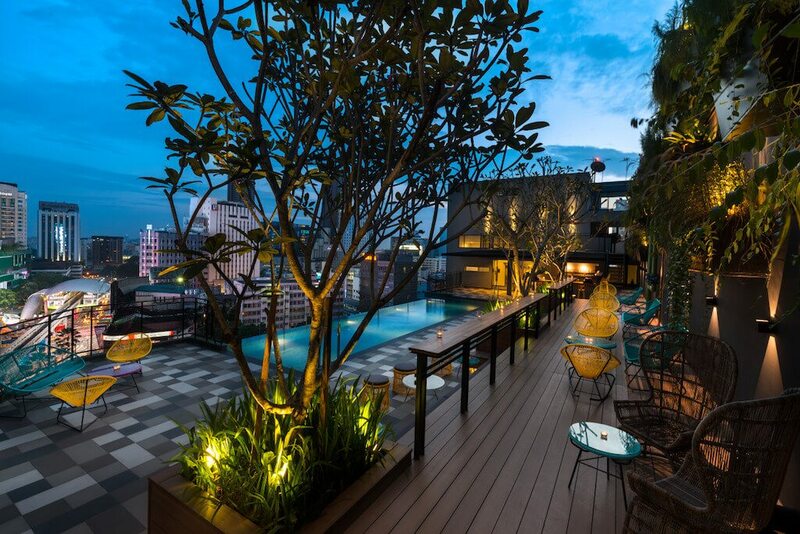 Sadly I didn’t make it to the hotel’s restaurant or bar – the Terrace Bar & Grill, but this was because I spent most of my evenings up by the rooftop infinity pool. I’m a total sucker for these and wasn’t bothered that I never made it up there before dark, because it was just as fun to take a refreshing night-time dip and watch the flashing lights of the city bustling around me. The pool area was compact, as you’d expect from a city hotel, but I never found it crowded. 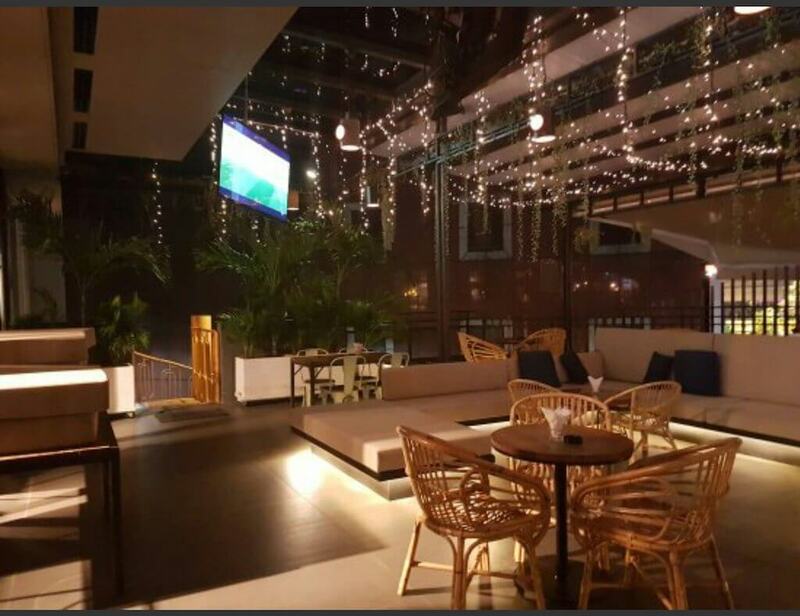 Plus the fact you could get a drink from the barman in the corner made it a perfect evening chill-out spot after a busy day of exploring. 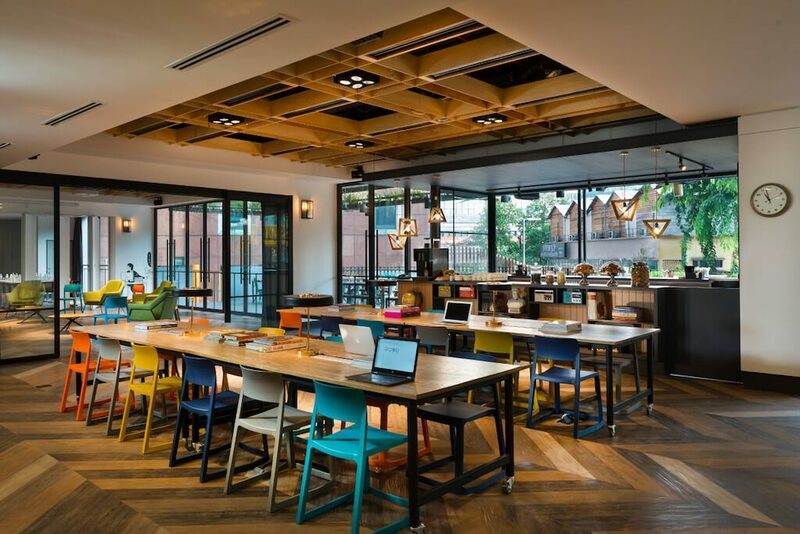 I also totally forgot to check out the Worker’s Union, an industrial-chic styled co-working space at the hotel. The Shack, the alfresco bar is right next to this, allowing you to soak up the tropical heat surrounded by hanging plants and rustic seating. 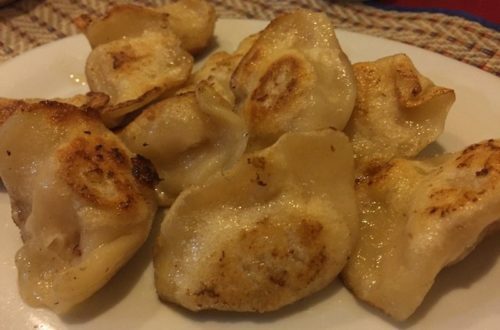 If I go back, I’ll be sure not to miss out on these! 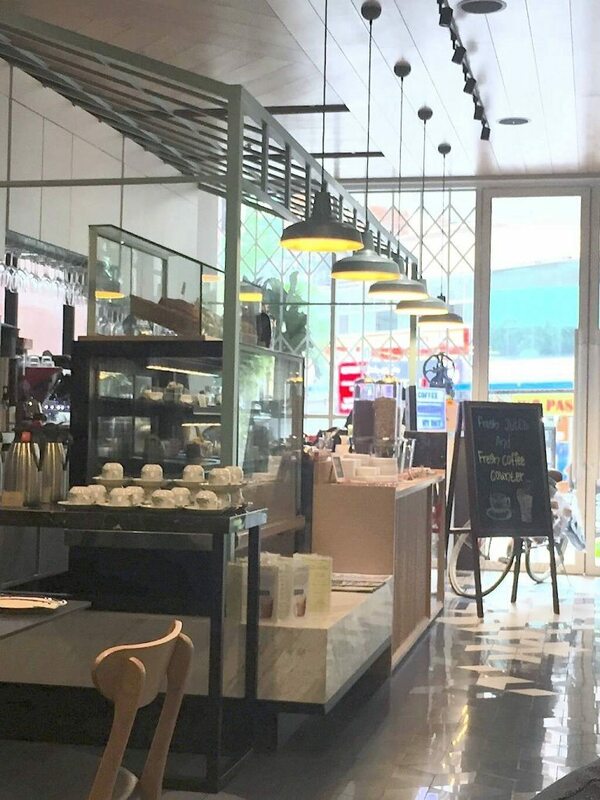 Breakfast was included in our stay at the ‘Journal, so every morning we headed down to the ground floor café – the Kedai Kopi Journal, which is also open to the public, for breakfast. Another light and airy space, you can help yourself to hot drinks and a fine, if not awe-inspiring breakfast buffet, or pick something from the cooked breakfast menu. This is very small, made up of just a few options including porridge, cooked eggs and the Big Breakfast: a chicken patty, potatoes, beans, tomato and eggs. As with most places in Malaysia, due to religion there’s no pork on the menu, so don’t expect bacon, but the buffet selection offers bread, fresh fruit and cereals. As a picky eater I found the choice pretty limited, but there’s a decent basic selection available. In all honesty I didn’t have many dealing with the staff at the Kuala Lumpur Journal as we spent most of our time out exploring the city, but I always found the reception team and breakfast staff friendly and helpful. We’d always get a hello when we appeared in reception and if we ever had any questions there’d always be someone there happy to help. 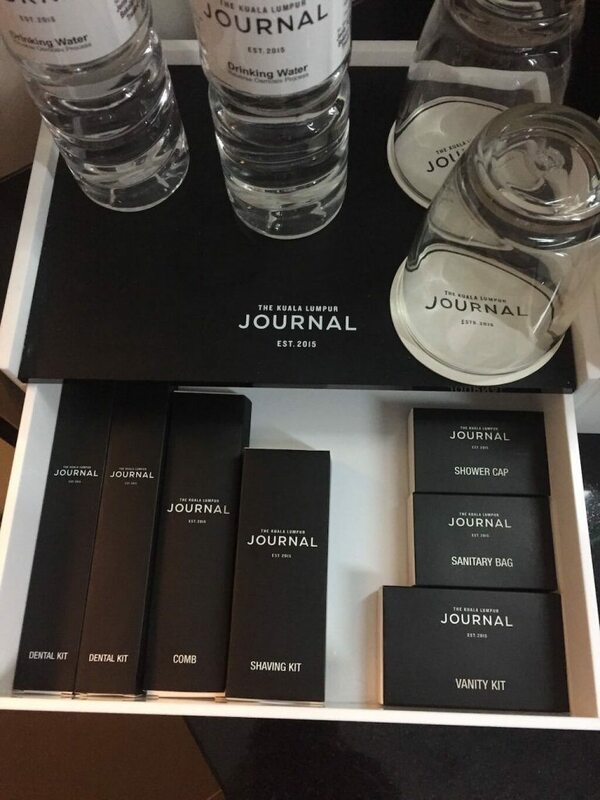 As I said at the beginning of this post, I think the ‘Journal is a really great choice for travellers taking a city break in Kuala Lumpur. 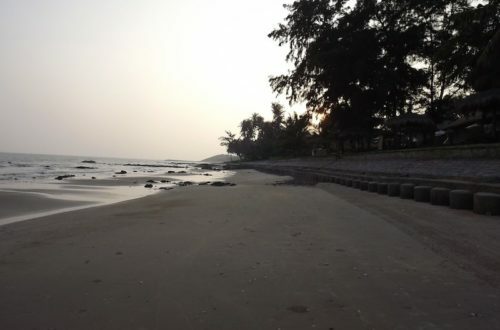 Affordable luxury at its best, it provides a comfortable little retreat from the craziness of the city. For where it’s placed, in the heart of the action, I think it’s very well priced, as we paid roughly £157 for our three-night stay, which included breakfast. We got this price through a Hotelopia deal, which they offer pretty regularly. On this occasion we were able to get eight per cent off the price. 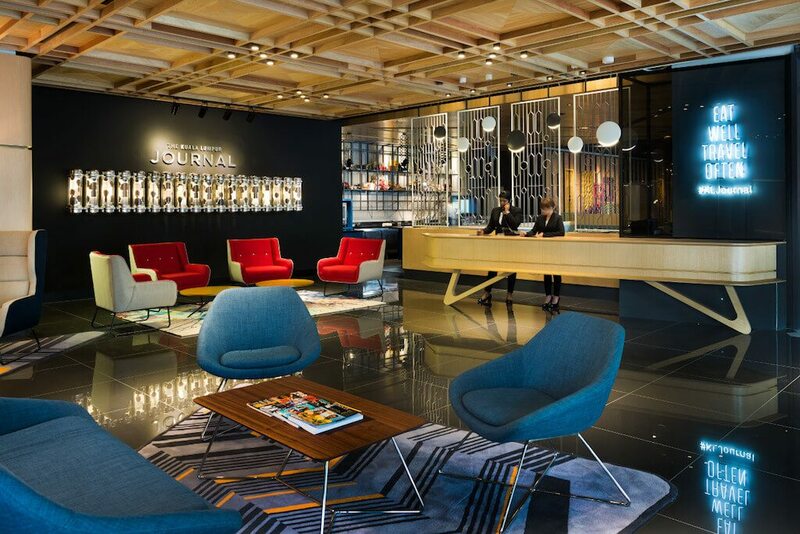 As and when I return to KL I’m very likely to simply book myself back into the Kuala Lumpur Journal, as it’s one of the best boutique city hotels I’ve stayed in so far! What’s been your favourite city hotel and what made you love it so much? Do let me know in the comments below! 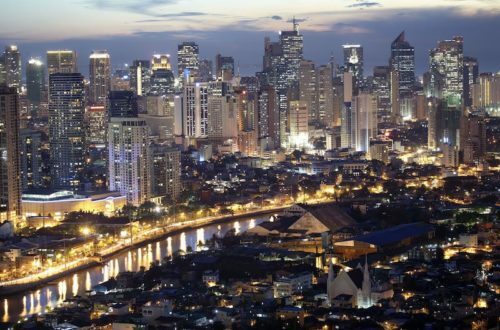 Weâ€™re off to the Philippines! 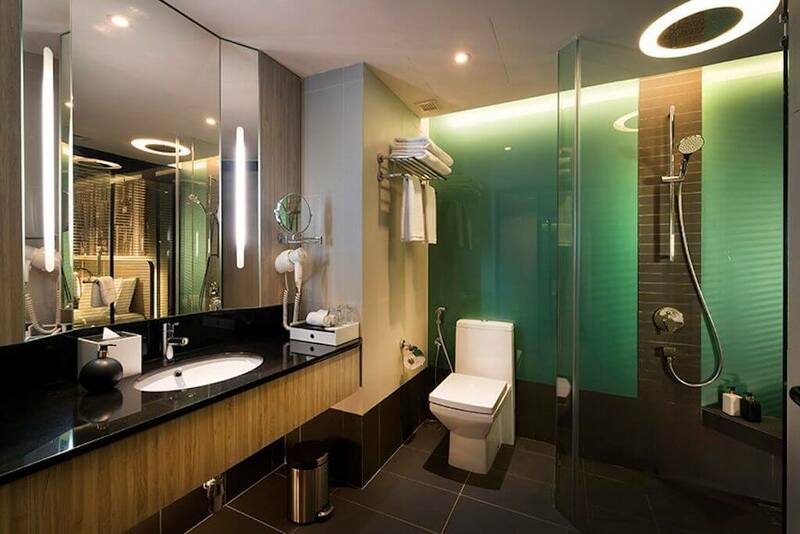 I can see why you loved this hotel – it’s very stylish. I love the look of the bedroom (and your alarm clock) and those chairs in the hotel lobby! Such a funky alarm clock, huh? Thank you, I enjoyed it a lot! Wow, wow, wow – the perfect name for travel writers. AND an infinity pool. Pretty sure it’s time for a return visit to Kuala Lumpur! 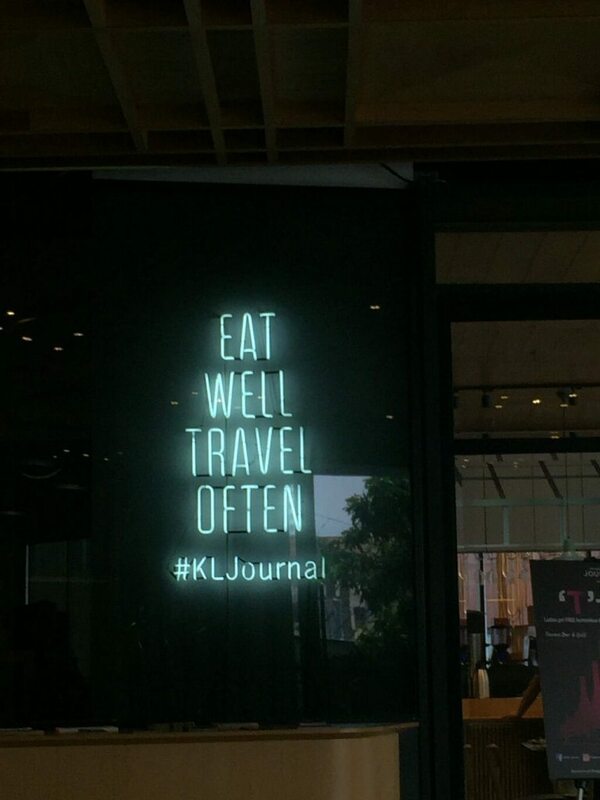 We stayed at the KL Journal too during our KL visit in 2016 and thought it was fab – I love the Bukit Bintang location as it’s so handy to the malls, transport and food! Yay! Glad you liked it too. Yup, it’s such a good location!